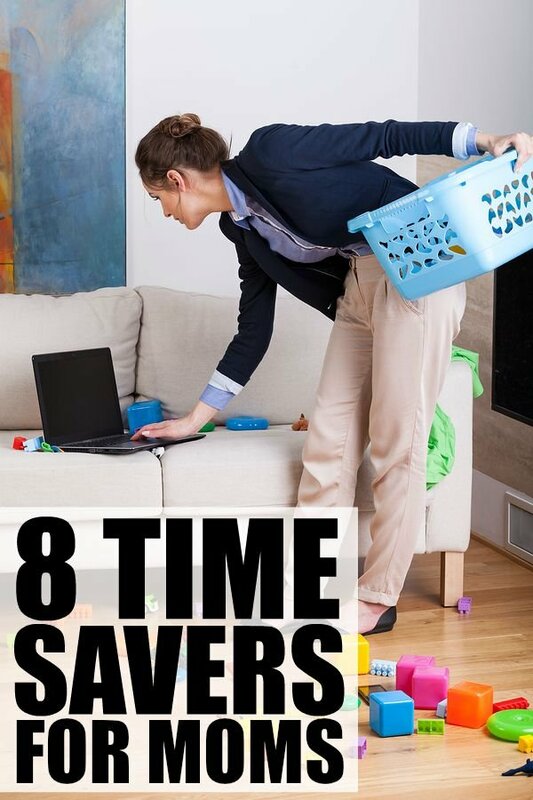 8 Time Savers For Moms - The Co.
Would You Survive a Social Media Apocalypse? When I first decided to put my career on hold so I could stay home and raise my daughter, I had visions of becoming the next June Cleaver. I would learn to cook. I would learn to bake. I would take up needlepoint. I would do the housework in my Sunday best. I would become president of the PTA. And I would never, EVER, stop smiling. I did a pretty good job of keeping up that little charade for the first few days of my daughter’s life. I was so ecstatic to finally become a mom, and I took so much pride in showing her off to anyone and everyone who wanted to meet her. Nothing could bring me down. But after sleeping no more than 90 consecutive minutes for 3 and a half weeks straight (I’m not exaggerating…), the novelty of being perfect all the time started to wear off, and I eventually became a postpartum mess that fell way short of my Cleaver vision. 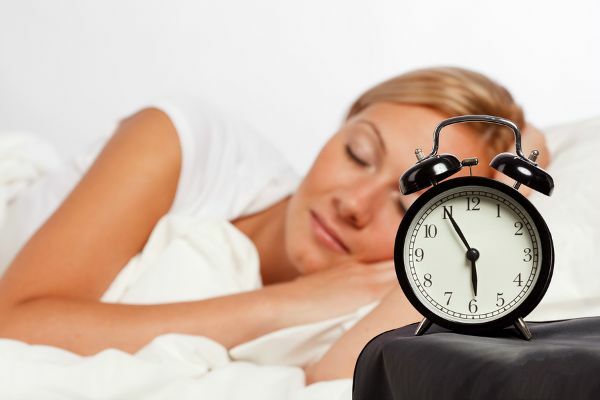 The good news is that I eventually started sleeping again, and the extra Zs made me much more pleasant to be around, but for whatever reason, my sense of organization and efficiency never seemed to return. Of course, being the mother of a small child has given me a free pass when it comes to most of my short-comings, but now that my daughter is in full-time kindergarten, I kind of feel like my excuses are running out, you know? So I’ve been putting some of my tried and tested time-saving strategies to work, and things are running much more smoothly. It’s pretty amazing. And since I know I’m not the only mom out there who needs a bit of help in the time management department, today I’m teaming up with Finish® to bring you 8 of my best time savers for moms. 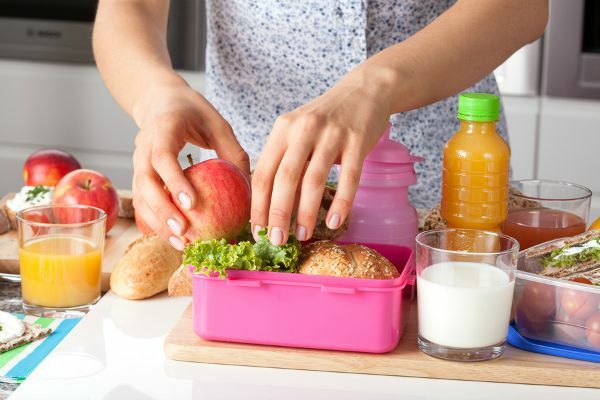 When I enrolled my daughter in summer camp as a way to prepare her for kindergarten, I saw myself in the mornings making heart-shaped sandwiches and writing adorable little notes for her like June Cleaver did for Beaver, but within 2 weeks I realized I needed to make some drastic changes if we were ever going to make it to camp on time. So I started allocating 30 minutes of my evenings to preparing lunches, choosing outfits, packing bags, putting shoes by the front door, and laying out breakfast dishes, and I am amazed at what a difference it has made. Not only are our mornings a million times less chaotic and stressful, but I’m also able to spend some one-on-one time with my daughter, which goes a long way in preventing early morning temper tantrums. I have been getting up at least 60 minutes earlier than my daughter for the last 2+ years, and I cannot stress how big a difference this makes in my life. It took a little bit of getting used to at first, but my days run so much smoother when I can squeeze in a workout, have a shower, get dressed, and take care of any other pressing things before she wakes up. I find the time makes me much more prepared for the day ahead, and also allows me to be more present with her over breakfast, which goes a long way in helping both of us start our day off in a positive way. I like to think I’m good at a lot of things, but meal planning is not one of them. I am just not organized enough to know what I’ll be in the mood to eat for dinner tomorrow, let alone 3 days from now. But when I sat down and took stock of how much time (and money!) I was spending at the grocery store, I decided to challenge myself to a month of planning a week’s worth of meals at a time, and I was absolutely amazed at what a difference it made. I saved a ton of money, I cut my weekly grocery store visits in half, and dinnertime was a million times easier and less stressful. 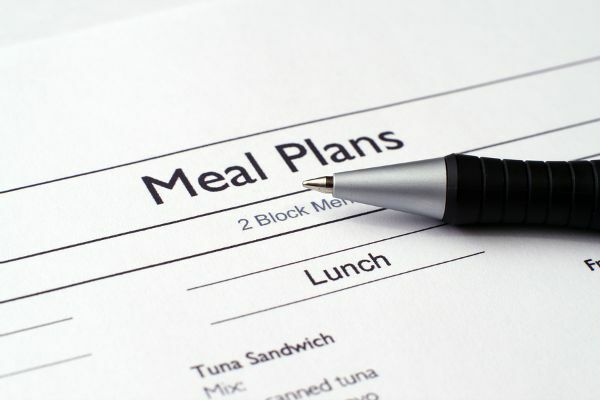 I’m now trying to strategize meal planning for a month at a time. That’s possible, right? Whenever I’m working on a deadline, I am really strict about eliminating distractions. 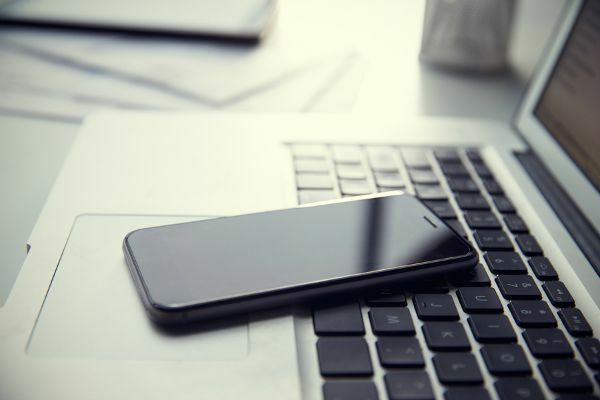 I silence my cell phone, I ignore all social media, I close my email program, and I do not allow myself to do anything that is unrelated to the task at hand. Some people may find this suffocating, but I find I am so much more productive when I can give 100% of my attention to something. You should try it sometime! 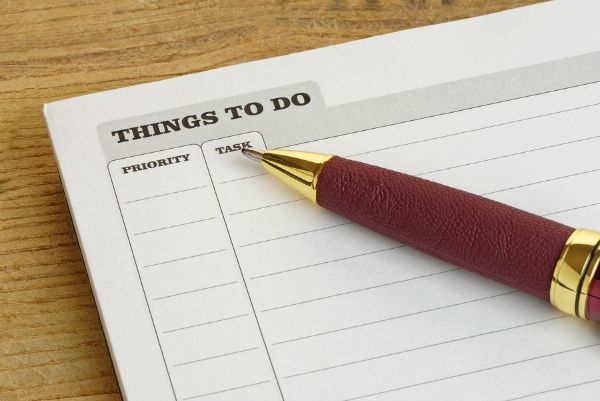 Every morning, I make a list of all of the things I need to accomplish throughout the day, and after I’m finished breathing in a paper bag, I go through the list and identify which items absolutely have to be completed, and which can wait. This exercise takes me 5 minutes, tops, but goes a long way in making sure I only spend time on things that are of great importance, and helping me feel more in control of my day. I have never been very good at asking for help, but motherhood has a tendency of changing people, and once I came to terms with the fact that I’m not superwoman, my life got a lot easier. Of course, I’m way too uptight to outsource childcare, and my husband is opposed to the idea of hiring a personal chef (something about it being a poor financial decision? ), but by taking my husband’s shirts to the dry cleaners and having a cleaning lady come in once a week, I have cut HOURS of time off of my schedule. When I was working in the corporate world, I often found a 15-minute break went a long way in helping me regroup and refocus, and that I was a million times more efficient once I returned to my desk. Of course, I never seem to have 15 spare minutes now that I’m a mom, but I recently started to find ways to make the time, and it has made a HUGE difference in my productivity. Sometimes I blast some tunes so we can enjoy a spur-of-the-moment dance party, other times I take the 2 of us to Starbucks for a treat, and when I really need time to think, I load the 2 of us into the car and go for a drive. It may sound counterproductive to take a break when you’re really busy, but I find it has the complete opposite effect. 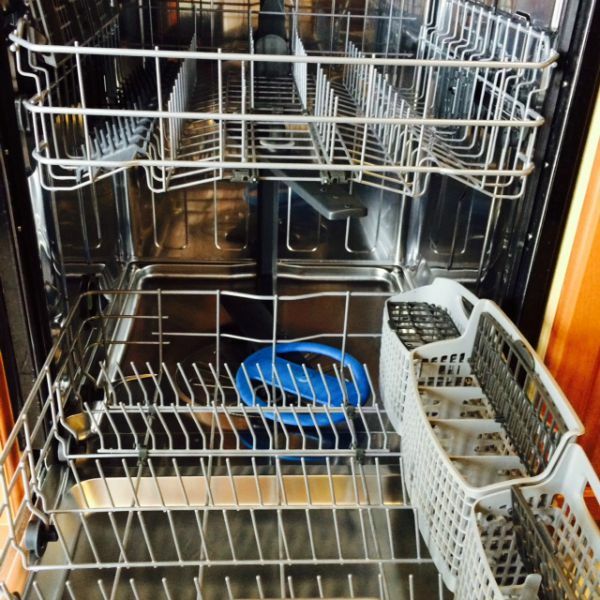 Did you know that your dishwasher needs to be cleaned every month? I didn’t. But when I was trying to fish a sippy cup straw out of the bottom of our dishwasher last week, I was SHOCKED at how gross it was. Not only was the drain filled with old food, but I also noticed a mineral buildup AND a questionable smell on the inside. Gross… The good news is that I recently discovered an awesome product called Finish® Dishwasher Cleaner, which has a powerful formula with 5x Power Actions that help maintain your machine, remove lime scale, clear grease, clean hidden parts, and freshen your dishwasher. And it’s so easy to use! 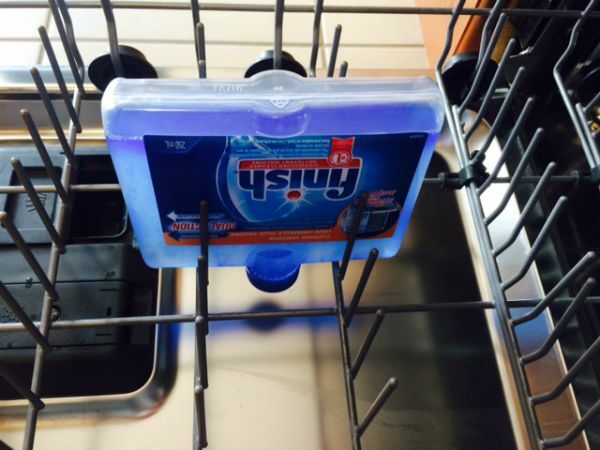 All you have to do is remove the sticker from the top of the bottle, place it upside down in any bottom dish rack, run your dishwasher on the hottest cycle, and then discard the bottle when the cycle is finished. I bought mine from Shoppers Drug Mart, but you can find it at so many other locations across Canada, including Loblaws, Walmart, RCSS, Canadian Tire, No Frills, Sobeys, Metro, Food Basics, and Fresh Co, and each bottle goes for about $4.99, which is a steal if you see how squeaky-clean my dishwasher is. Even June Cleaver would be green with envy–don’t you agree? 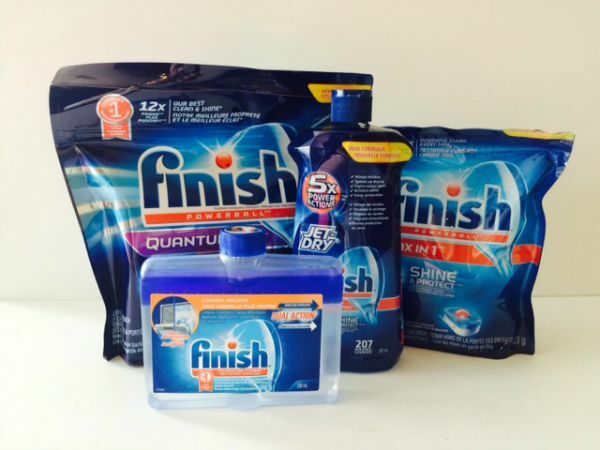 For best results, you should use Finish® Dishwasher Cleaner once a month! To learn more about the Finish® line of products, don’t forget to follow them on Facebook and YouTube! Finish® wants you to see for yourself how great their dishwasher cleaner is so they’re holding a contest in which one winner will receive a spa getaway to the Caribbean! Simply leave a review on their Facebook page and you’ll be entered to win. I am part of the Finish® campaign with SheKnows and I receive special perks as part of my affiliation with this group. The opinions on this blog are my own. If you liked these tips, please share them on Pinterest! 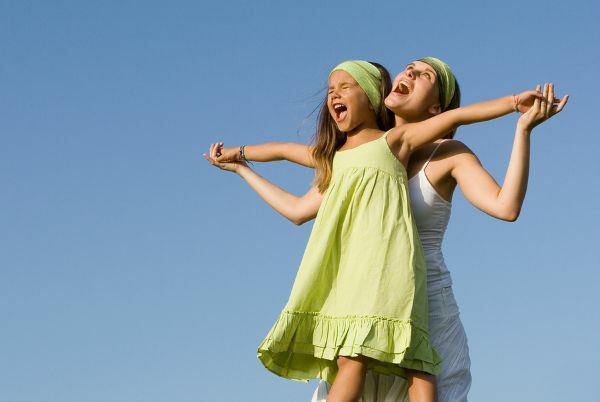 This is an excerpt from the article 8 Time Savers For Moms which originally appeared on http://www.cloudywithachanceofwine.com/.